There’s a reason most modern homes are finished with vinyl siding rather than wood: the synthetic resin is more low maintenance than the cactus plant sitting potted in your windowsill. With the convenience of vinyl made more and more apparent, homeowners are choosing to outfit their decks similarly, using vinyl flooring rather than traditional lumber. So, why vinyl? For one, it doesn’t decompose, warp, or splinter. It also doesn’t fracture, swell, or disintegrate. Without nails and sharp edges, the chance of incurring personal injury while attempting to enjoy your home’s added outdoor square footage is seriously reduced. 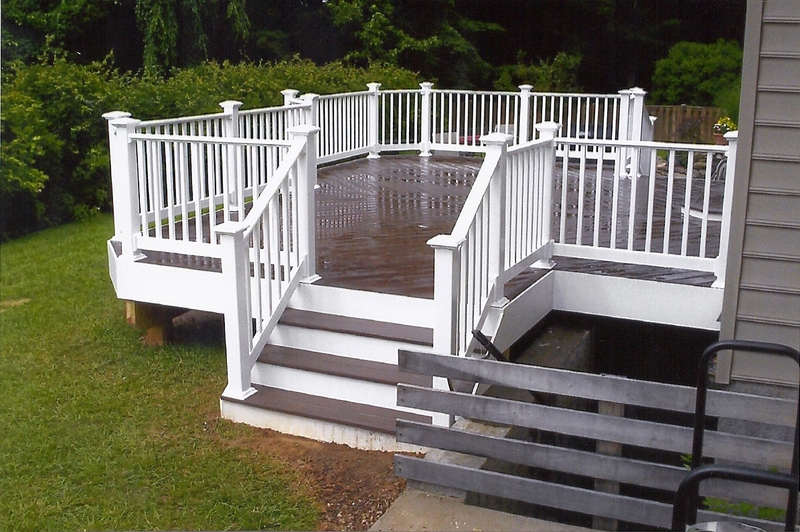 As a bonus safety feature, vinyl decking materials are slip resistant. If it’s the look of wood you’re after, no problem: Freedom Fence and Home offers a wide variety of decking materials, including vinyl that is designed to resemble wood, without the hassle of refinishing and frequent upkeep. Choose from a variety of colors, styles, and finishes of vinyl decking; we’re sure here at Freedom Fence and Home, we have something to suit your needs. Not only that, but vinyl decking is eco-friendly: it is made from recycled materials, a selling point that can help contribute to the value of your home and property. Avoid worrying about sealants and deterioration by selecting vinyl as the material for you new deck from Freedom Fence and Home: it’s an investment that is literally made to last. This entry was posted on Friday, August 31st, 2012	at 8:20 pm	. Both comments and pings are currently closed.